The Camino Frances starts in in the French Pyrenees and crosses four Spanish regions until arriving in Santiago de Compostela. It’s mountains (the Pyrenees), than hills (Navarra & Rioja), than a long flat stretch (the Meseta between Burgos and Leon in Castilla), some smaller mountains again and finally, in Galicia, hills until Santiago. You will sleep in a town or a village every night and you will travers some villages every day. A lot of them small and very old with just a couple of residents. The landscape is splendid and diverse as is the flora, at least in spring. I’m not religious, but a lot of people do this journey for religious or more or less spiritual reasons. They leave home, family and friends to think about themselves or to cope with disease or loss. This does something to the spirit of this path. People are open and conscious and they share it in an unpretentious way. If you walk there, you will get the feeling of the thousand years of pilgrimage, the footsteps taken by millions of people through the ages. And when you are in Finisterre, looking at the Atlantic Ocean, you will realize with all your heart, why early pilgrims called this place “the end of the world”. On the picture you see Roger. He started in front of his home in Bretagne. When he arrived in Santiago he made around 1.900 kilometers. It is said, that if you are a real pilgrim, you start your journey at your front door. There is a dense grid of Caminos from all over Europe leading to Santiago de Compostela (here’s the map). If your main goal is to be alone, don’t choose – from all the caminos – the Camino Frances. But don’t expect the infrastructure of accommodations neither. With all the people you see on the photos above, I had some intensive and interesting talks, several kilometers and/or dinners. With eight of them I’m still friends on Facebook and I follow there lives attentively. Something connects us. With four of them I met after the Camino and we reconnected immediately – like friends do. Hiking ties relationships tightly. One died. I think of you, Adi. Even on the Camino Frances. For sure, the more you approach Santiago the more people you will see on the way. 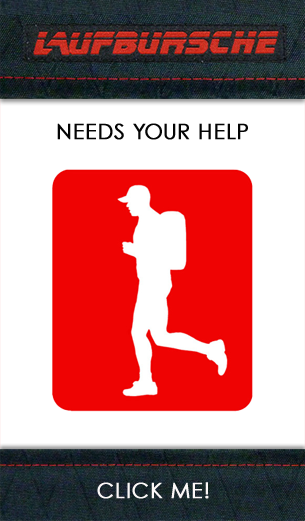 25% of the pilgrims just walk the last 100 km. But even there (in May), if I don’t wanted to see people, most of the time I didn’t. You have to leave early or very late and in the villages you just don’t have to leave with the bunch. However, if you like to be alone in the evening, this will be very, very hard. In general it can be said, that the Camino Frances is more about people than about solitude. Chose wintertime to be on your own. Or another Camino. You don’t need a tent, you don’t have to be afraid of not having enough water, there are no bears and no rattlesnakes and there are a lot of people around in the evening. However, I had an incident including animals: A cow who pressed me against a wall in a narrow road. Luckily I’m thin enough so I didn’t have two holes in my chest afterwards. Beware of cows! Anyway: You can try out your long distance hiking abilities without the scary part. One of the best things I made was cooking with my international Camino-bunch. The Italians were the chefs, the Germans organized the drinks, the Brazilians made coffee and the French commented on the cheese ☺. You’ll find kitchens in nearly every albergue. If you don’t have the occasion to be in such nice company, still do not go for the Pilgrim’s Menus. Search for places where the Spanish people go. You won’t get the same things as you get at home, but after all this is the idea of travelling: To make new experiences. If you want to be alone in the wilderness, sleep in a tent, eat dehydrated food and get really close to nature in every kind of way, the Camino Frances isn’t the right thing for you. If you like to get to know a bunch of nice people from all over the world, see architecture from the middle ages, hike enchanting and divers landscapes and have great breakfasts in picturesque old villages, than go for it ☺. All that said, I’m really glad I did it, it was one of my best travel experiences ever. But I will rather go for a little more wilderness next time. Beautiful photos. It is a walk I would love to do although can’t ever imagine finding the time. Hi mistynites, I don’t have a clue what your life looks like and I hope I don’t overstep, but I learned something in the last years and it is in this little story which a psychologist friend told me, it’s the story of poor dad and rich dad: There are two fathers and two sons. Both families don’t have money and both sons have big wishes of traveling around the world. While the first father says: we can’t afford it, the second prefers to ask: How could we afford it? That is very true and I’m already doing that with two other places I’ve longed to go to as well. Some trips can happen sooner than others. Awesome post…and why I don’t walk the Camino Frances too 🙂 There’s a Camino that’s right for everyone. Great blog! You have it all for anyone into hiking no matter where or for whatever reason. Hope you’ll have many hikeminded likers or likeminded hikers here 😃 GOD bless! Thanks! I cannot wait to start mine in few weeks! Thanks 🙂 loved your post! A wonderful post. I have plans to hike the Camino one day. I have visited parts of Northern Spain and seen hints here and there of the pilgrims passing through, and it’s something that appeals for many different reasons. I also like your Berlin posts – I’m returning there soon to run the half-marathon. Your photos are fantastic. We have quite a few hiking trails here in South Africa. Kranskloof is more family orientated. Then there is the Giba trail. When you make your way over to SA, consider doing these. Great post!!! This is on the list. I hiked the Kumano Kodo in Japan last summer. Working on a write up! You might be thinking of the Shikoku 88 Temple Pilgrimage?! Which I don’t know much about! Though there are quite a few along the Kumano Kodo! This hike is on my bucket list. I just had to get a few things fixed first, like 2 new knees and my back fussed. Recovery is almost over and I am going to start my hiking again this summer to start building back up. Thanks for the photos they were great. Buon Camino, olehippies! You’ll get a great experience out of it! The pictures are great. Also, once you walk the Camino, it calls you back. I spend a lot of time thinking about when I can go back and what walk I will do. My first Camino was only the last 100K due to time restraints. Beautiful post. I’m thinking about Camino Primitivo because I would like a walk with less people. I loved my first walk but I didn’t spend as much quiet time on the walk as I would like. Of course, the Camino is exactly what it should be so I’m sure this is what I needed for my first time. Lovely post and great photos! How far did you walk? I came across a small exhibition on the Camino the other day, and now I am thinking it would be a great experience to do some of it. We saw some people finishing it when we visited Galicia a few years ago. I started in Pamplona so I did something around 750 kms. Traditional starting point for the Camino Frances is in Saint Jean Pied de Port in France (2 Stages further and altogether something around 800 kms then). You’ll do it in approximately 1 Month (+/-). But you can also do it shorter or take another way. There are many. Here is a map: https://upload.wikimedia.org/wikipedia/commons/thumb/2/2b/Ways_of_St._James_in_Europe.png/1200px-Ways_of_St._James_in_Europe.png The red line is the most frequented Camino Frances. Thanks for the link, I will have a look!